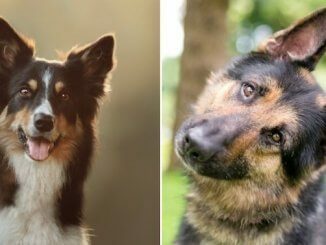 HomeDog BreedsKing Shepherd – The King of German Shepherds? Is the King Shepherd the king of German Shepherds? 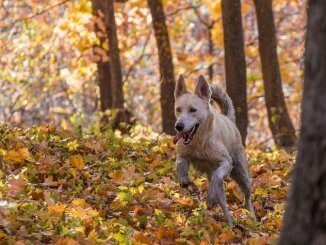 Large, slightly rugged, confident yet gentle, loyal and loving; these words are perfect to describe one of the most family-friendly dog breeds. The King Shepherd is a cross-breed between the classic German Shepherd dog and a Shiloh Shepherd. This breed is well-known for their temperament and when trained properly, they are extremely loving and friendly to both kids and other family pets. Not only do they make a great addition to the family but they are also known to be great working and herding dogs as they have a high stamina and are an intelligent companion. 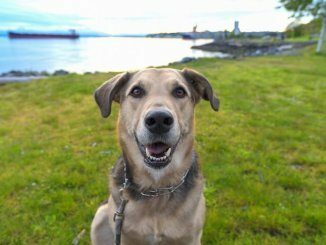 So, if you are looking for a giant friendly protector who will give you unconditional love, then reading this article will help you decide if this is the right dog for you. There is a American King Shepherd Club (c) Instagram. The glorious King Shepherd is born when a German Shepherd and a Shiloh Shepherd mate. Consequently, the German Shepherd goes into heat and their offspring are a King German Shepherd. Generally, the sire is the Shiloh Shepherd and the dam is the German Shepherd, due to their differences in size. Want More?! Get a free copy of our King Shepherd eBook to learn more about this incredible breed. The typical price for a King Shepherd puppy typically ranges from $1500 – $2500 USD. It is important to note that there is not a wide range of recognized breeders, therefore explaining the higher price. It is becoming increasingly common for puppy mills and backyard breeders to try and sell these dogs to the general public; understand and know your breeder. The litter size of the King Shepherd may range from six to ten puppies per litter. The King Shepherd originated in the United States of America in the late 19th Century as the breed was developed by two breeders, David Turkheimer and Shelly Watts-Cross. Their goal was to breed a dog similar to the German Shepherd dog but larger and without the existing health and temperament problems; similar to that of the Tina Barber with her Shiloh Shepherd. The Official Breeding Club was developed in 1995 and is known as The American King German Shepherd Club (i.e. AKSC). Just like most German dogs, this breed is classified as a herding dog. Therefore, not only are they loving but they are also very diligent workers. How long does a King Shepherd live for? The King Shepherd has a typical lifespan of between 10-11 years of age. How big is a King German Shepherd? As you can see, this breed is indeed a giant dog breed, they will be your own big friendly giant. The king shepherd temperament is absolutely adored. They are one of the most loving, loyal and friendly companions an owner could ask for. They are highly intelligent and eager to please their owners. Like their shepherd parents they are naturally working dogs and are therefore quick and eager to learn thus making them pleasant to train. Because of this they have even been used as service and therapy dogs. Due to their playful and energetic nature they are great with children and other family pets. They are sociable, but, aloof to strangers because of this they require intensive effort during their socialization phase. Like all dogs, they may become mischievous if left bored alone and neglected. However, with the proper training mixed with socialization and a strong bond they make a superb dog. This is a loving and wonderful dog to care for. Being the perfect protector, they can look after you too. This breed is large, intelligent and very energetic – the ideal candidate includes a person or family with a large yard. If you live in an apartment, or small home with no yard, then try a smaller breed such as a Shorkie. In order to support their energy and maintenance requirements, it is important that their dietary needs are met so that your pup grows up to be healthy and thriving. A fully grown king shepherd, weighing up to 150 pounds, will require between 1800 – 2500 calories per day and a whole lot of protein. This is approximately three to four cups of giant formula mature kibble per day. This differs for king german shepherd puppies as they will be in a “growth” phase and will therefore require more nutrients. What Should A King Shepherd Eat? All dogs are classified as being omnivores. Carni-omnivores are animals which dietary requirements fall between being a carnivore and an omnivore. Therefore, your dog’s diet should be made up of a combination of carbohydrates, proteins and fats; with high proportions of protein and fat. A well-balanced diet is a must, so it is best to ensure that the food contains adequate nutrients as recommended by The Association of American Feed Control Officials. How Much Exercise Do King Shepherds Need? They are a very active dog so exercise is a must. Notice the word exercising and not just walking. Due to their high energy levels they require 60 minutes of walking and exercising per day. In total, they should walk around 14 miles a week, so 2 miles per day. Just like their GSD parent, due to their intelligent, curious detective-like nature, it is important that you walk your dog on a leash. So, leash training is a must! As this is a giant breed so you must be exceptionally careful not over exercising or walking them during skeletal development as a puppy. If your king shepherd isn’t given enough exercise then they will get bored, restless and become destructive. Training your shepherd can be made simpler if you remember positive reinforcement and socialization. Using operant conditioning with positive reinforcement should be the only techniques used to train a dog; it’s been proven many times. Having a strong training plan, is important for any puppy. So have those treats and toys in hand, and plenty of praise at the ready. Punishing your pup for training mishaps will not be a good idea in the long run. Would you like to be pushed around and yelled at for making a few mistakes? The dominance theory has long been de-bunked. As they are eager to please, a little praise goes a long way with this breed. They are very energetic dog and are more intelligent than other breeds, because of this, mental stimulation and games should be introduced early on during training. As this dog is the product of a German Shepherd and a Shiloh Shepherd mating; some of their health issues are heridity from a German Shepherd. Both the King Shepherd and Shiloh Shepherd were specifically bred to remove some of the inherent health issues with the GSD. Canine Hip Dysplasia (CHD) is a genetic predisposition in the German Shepherd and therefore may be passed onto the King Shepherd. It is a disease of the hip which prevents the joints of the hip forming properly. If severe, this malformation can lead to loss of hip function and is very painful for your pup. Therefore, if you notice any health issues with your shepherd, or irregularities, especially during their growth phases contact your local veterinarian immediately. The King Shepherd is very similar in appearance to the well-known German Shepherd dog. However, they are much larger. At 29″ inches in height and 150 pounds in weight this shepherd was rightfully named King. The King Shepherd is very similar in appearance to the well-known German Shepherd dog. However, it is much larger as they get their size from their Shiloh Shepherd parent. They are solid, muscular and robust with a broad chest. Their back is significantly straighter than a traditional GSD. As a king shepherd puppy, they have teddy-bear like faces (just like German Shepherds) which matures into a very square and broad head. The King Shepherds large square head is one of their most defining characteristics. Their coat is beautifully thick and may come in multiple lengths ranging from medium to long in length; hence the name long haired king german shepherd. Their coat is even weather-resistant. With colors ranging from sable to black saddle with tan and either: gold, cream, or silver markings there is a lot of variation in their appearance. Even though these dogs may just appear to be giant-sized German Shepherds, there are actually some differences if you take a closer look! For example, the King Shepherd has a straight back in comparison to a German Shepherd. Remember, due to your King Shepherds coat being so thick they are going to be a shedder. Consistent grooming with a brush; preferably three times each week. This is especially true during seasonal changes. Extra shedding will occur closer to summer as your pooch takes off their beautiful, extra furry winter coat and prepares for the summer heat. During this period, daily brushing is highly recommended. Unless you want very furry furniture and floors! In terms of bathing your dog – it should only be done when necessary to not to disturb or irritate the coat’s natural oils and your pups skin. Do you have a large spacious yard? Are you looking for an intelligent, loving yet protective companion? Are you able to provide your dog with time and attention? 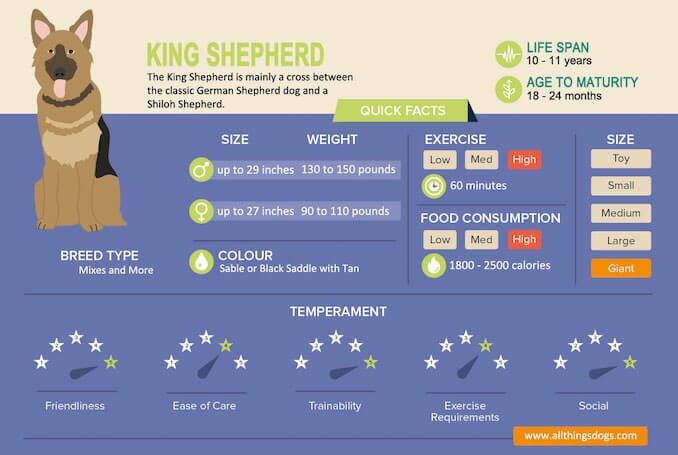 If you answered yes to all these questions, then the King Shepherd may well be the right dog for you. The King Shepherd is a big, strong boned yet loveable dog. They are more than capable of fitting into a working environment. Yet, they are also well suited to being a loveable family pet. As long as they get sufficient exercise and have enough space to explore then this dog will work wonders for you. Have you owned a GSD or King before? What was your experience? Let us know below. I’m so ready to have a King German Shepherd. I don’t have much skills training and my last shepherd was a total lost as it was from a man who breaded shepherds and no papers or training. Question? Are both male and female very protective and which is hardest to train? To answer your question first. To my knowledge, there hasn’t been any scientific research on if gender makes a dog harder to train. But I’ll leave your comment here in case anyone has some to share. In terms of purchasing a dog without papers, I would recommend you read our article on Tips for Buying a Dog. I have had many GSD over the years. The last being a 4yr old long hair that we rescued. I would very much appreciate it if you could recommend a reputable breeder in the NY area? It is so hard to trust anyone! Unfortunately, I can’t recommend any breeders in that area as I don’t have experience with any. My best advice would be to start by reading our article on tips for finding a reputable breeder; and then use your instinct when you go to visit the breeder. Especially if you have experience of GSDs.